The Perry Foundation, a registered charity, was so named in 1970 to perpetuate the name of the late Lord Perry, first Chairman of the British Ford Motor Company and distinguished Government advisor. 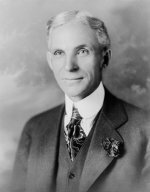 Lord Perry shared with Henry Ford a deep interest in agricultural mechanisation and the well-being of those who worked on the land. Lord Perry was in charge of the Boreham House estate near Chelmsford, purchased in the 1930s, where their ideas were put into practice. Fordson Estates Limited, an early initiative in worker participation, was founded at this time and based there. Boreham House became the home of the Henry Ford Institute of Agricultural Engineering and later this became The Boreham Institute of Agriculture which changed its name in 1970 to The Perry Foundation. At that time, the main objective of the Foundation became the promotion of the cause of agriculture, including research and investigative work. 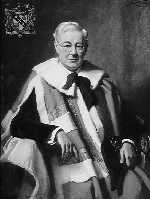 On his retirement in 1946, Lord Perry maintained his interest in the Boreham House estate and the work of the then Henry Ford Institute, making further gifts of property. These assets enabled the Trustees to build up a substantial portfolio of investments. Since 1970, the Foundation has sponsored over 160 projects at Universities, Colleges and Research Institutions throughout the UK. The Foundation continually reviews its policy to meet increasing research cost, changing funding patterns and the particular problems facing agriculture.